A new group has started for babies up to the age of crawling. 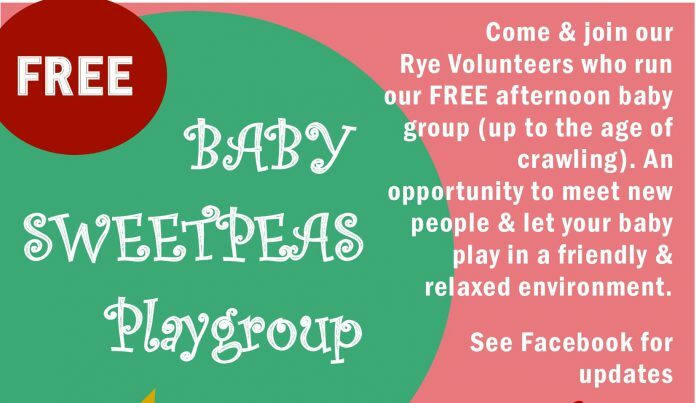 The Baby Sweetpeas playgroup meets on Tuesdays (excluding the first Tuesday of the month) from 1pm to 2:30pm at the Children’s Centre, The Grove, TN31 7ND. Approved by East Sussex County Council and East Sussex Healthcare, the group is free and is an opportunity to meet new people and let babies play in a friendly and relaxed environment. For further information call 01424 726111.